Teachers have long been portrayed as independent contractors, working alone and behind closed doors. But new Northwestern University School of Education and Social Policy research suggests teachers may benefit from the chance encounters that stem from working near one another inside the school building. 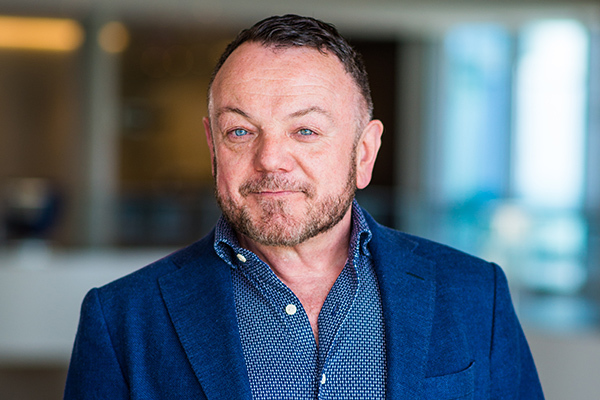 In a study published in the current issue of the journal Sociology of Education, professor James Spillane of Northwestern, along with Matthew Shirrell of George Washington University and Tracy Sweet of the University of Maryland, explored how physical proximity influenced the way teachers interacted and talked shop. They found that the physical distance between teachers-- whether measured using the distance between classrooms or by the overlap of the areas teachers frequent in school buildings – affected the likelihood that school staff interacted with one another. Moreover, physical proximity had a stronger impact on teachers of the same grade level than teachers of different grades. Based on teacher interviews, the researchers found that proximity decreases the time and effort teachers need to interact with their colleagues. It also increased unplanned conversations, allowing educators to share ideas or discuss problems soon after they occur. “The ‘spatial configurations of social life’ are consequential, even within modest-sized elementary schools, but they are too often ignored,” said Spillane, one the world’s top education leadership researchers and the Spencer T. and Ann W. Olin Professor in Learning and Organizational Change. While regular formal meetings are important, teachers can benefit from more immediate discussions with peers, especially after a novel or challenging classroom situation. School buildings should be designed to promote interaction by minimizing the distances between classrooms and requiring teachers to travel common paths in school buildings. “Master” teachers or those in leadership positions should work in spaces close to other teachers and staff to improve the likelihood of interactions with these instructional leaders. School leaders should consider proximity when distributing staff throughout school buildings to maximize the chances staff have to interact with exemplary teachers, teachers of other grade levels, or staff with particular areas of expertise. "Proximity and interaction among teachers are like the air we breathe and the water we drink; we tend to take it for granted," said Tim Hallett, associate professor of sociology at Indiana University, who was not involved in the study. "By making these 'common sense' dynamics visible, the study authors outline a series of tangible interventions that can expand the breadth and depth of teacher interactions and teacher learning." Shirrell is assistant professor of Educational Leadership and Administration at the George Washington University, who completed his PhD in human development and social policy at Northwestern in 2014 and worked for Spillane as a post-doctoral fellow for two years. Sweet is assistant professor in measurement, statistics and evaluation at the University of Maryland. Read coverage in Education Week: "Location Can Determine How Successfully Teachers Work Together, Study Finds."